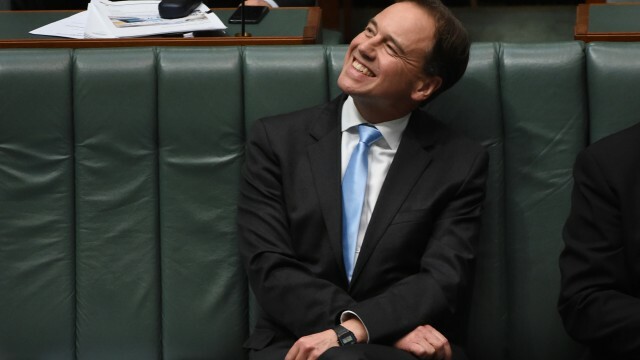 After much deliberation and discussion with the Federal Government, Environmental Minister Greg Hunt has finally gotten the go ahead to redefine what it is his role entails. After the decision to use a large swathe of arable farming land for a coal mine, despite Barnaby Joyce’s dissension, Mr. Hunt has reinterpreted his role as meaning, to quote the memorandum, “Minister in charge of utilizing the environment to best effect for profit; Minister appointed to ascertain which environmental areas are useful for business interests”. In an email leaked to this publication, Prime Minister Abbott allegedly called Minister Hunt “brave” and “forward-thinking” in his reassessment of the Environmental Minister role. He added that he was “confused the role was ever used for anything else” given that the “environment is only there to serve interests”. Groups like the Greens have stated that this should be considered an “environmental travesty” which will surely expedite “the destruction of our peoples, our civilization and our world”, voices that went unheard over the clamour of the Federal Government’s adding machines. Mr. Hunt was supposedly last seen dumping a trash can of garbage into the ocean and giving the thumbs up for photographers in a pre-arranged photo op.